This phenomenon is an experience of a lifetime to watch when the sky comes alive with the glow of blue-green flickering lights. The Northern Lights, also called Aurora Borealis, are born on the Sun. Electrically charged particles are catapulted off the surface of the Sun in the aftermath of powerful solar storms. Some of these particles travel towards the Earth. When they reach the planet, they are conducted in the protective magnetic fields towards the magnetic North and South Poles. In a ring-shaped pattern around the magnetic poles, the particles encounter the upper layers of the atmosphere. In a process identical to the one that occurs inside a fluorescent light, energy is released as light, that we can observe from the Earth. Most Northern Lights “displays” take place at the height of around 100 km above the Earth’s surface. The Northern Lights belt stretches along the coast of Northern Norway from Lofoten to the North Cape. 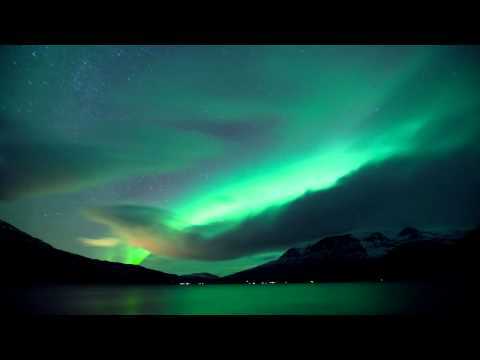 It means that Northern Norway is the perfect place to observe this natural phenomenon. 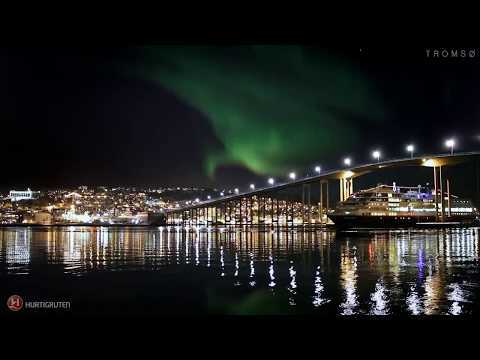 In fact, the Northern Lights are more commonly seen here than anywhere else in the world. Svalbard (Spitsbergen) is a little farther from the belt, but here you can also see the Northern Lights in mid-winter. The Northern Lights (Aurora Borealis) is best to see in very bright and dark winter nights. The lights are at their most frequent in late autumn and winter/early spring. Between the fall equinox and spring equinox (21 September - 21 March), it is dark between 6 pm and 1 am, and you have maximum chances of spotting the lights. However, the weather is also of importance and September, October and November tend to be wet and snowless in northern Norway. The Northern Lights activities present a chance of catching the elusive lights while trying out an exotic pastime. Just to mention some of them as dog sledging, snowmobiling, ice fishing, whale watching, cross-country skiing, photography courses and visiting an ice hotel. Another option is to watch the Northern lights on board the "Hurtigruten", the Norwegian coastal steamer that visits 34 ports along the coast. Come and discover the Northern Lights along with our 350 husky friends. You’re welcome to take shelter around the fire in the Sami tents at any stage if you want to warm up. Tromsø Villmarksenter is Europes leading dog sledding company and have 30 years of experience.